As we already discussed in our previous posts, visuals are the great way to attract visitors attention and convert them into your subscribers or customers. Animated images and videos have become go-to visual content for most of marketers and brands. But marketers face one problem – How to create these visuals on a shoestring budget. But don’t worry, we have a solution for your problem. 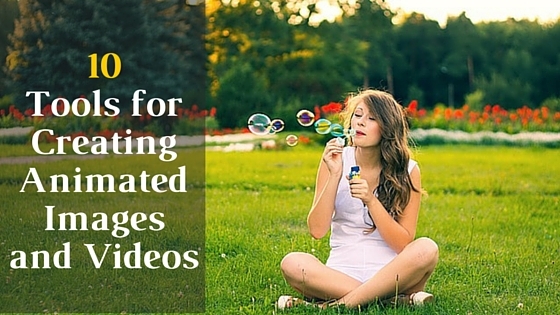 Here’s we’d like to share 10 easy to use tools for creating animated images and videos. With the help of these tools you don’t need much design or technical knowledge to create interesting and engaging visuals. Let’s get started! You can create, share and execute flows (interactive howto guides) using whatfix. Discover how it can help your business. You can capture and save GIFs and videos now using Gyazo. It is a free tool available for Windows, Mac, and Linux. All captures can be quickly shared on multiple platforms, too. GIFDeck will convert your SlideShare presentations into beautifully animated GIFs in one click . 4. GIFBrewery – Convert Brief Clips from Video Files into GIFs. Mac users can quickly convert sections of their videos into GIFs using GIFBrewery. You just purchase and download the app onto your Mac OSX, and use it from your computer. Recordit is a screen recording software for Windows & Mac, that lets you record your computer screen and upload it to the Internet as a GIF file. You can make GIFs from YouTube videos using GIFYT. Just paste in the URL, select the time period you want captured, and convert it to a GIF. It is very easy to use, fast, and free. Learn how to make a gif. Create animated gifs online with free gif animator in just three easy steps. Upload, Customize, Create. Make A GIF is the free and easy to use tools. VideoScribe is pure magic. Create your own whiteboard-style animations with no design or technical know-how. PowToon provide all the animation tools you’ll ever need to immediately begin creating your own professional-looking animated explainer videos and animated presentations. Hope you liked these tools, there are also other options out there. Would you like recommend your favorite tools? Please share your views in comment box below!